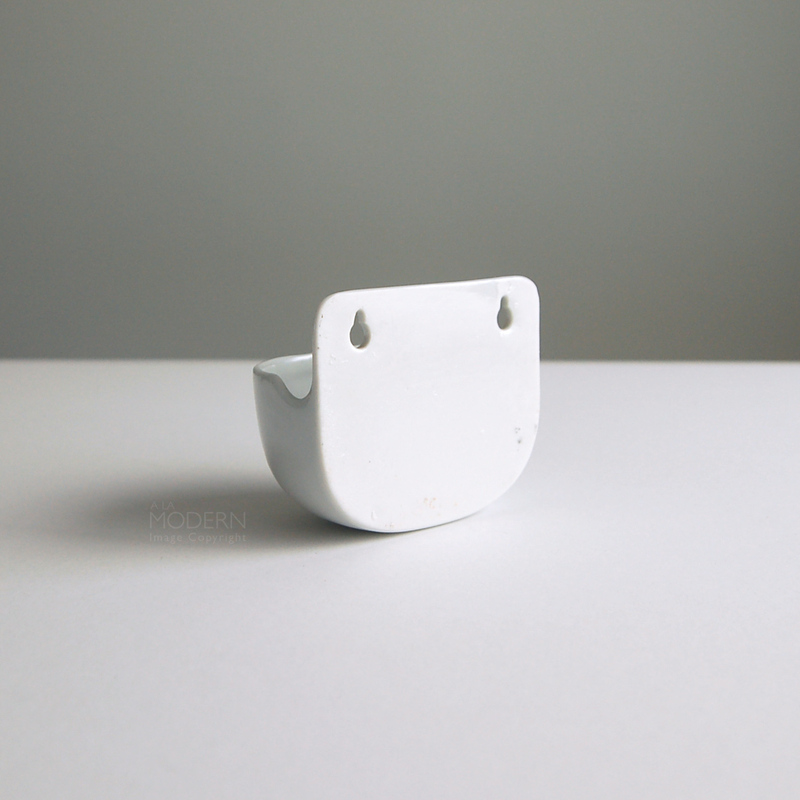 Very hard to find, minimalist white porcelain ceramic wall mount salt dip, designed by La Gardo Tackett. 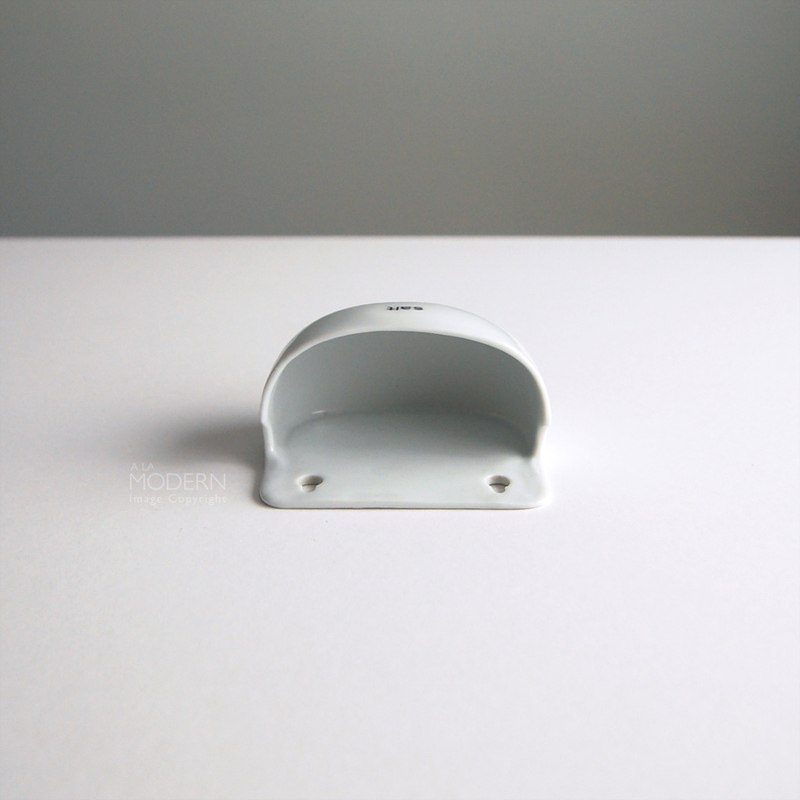 Believe that these were made for Schmid in Japan, features a simple half round form, with a tab at back with holes for hanging on the kitchen wall. 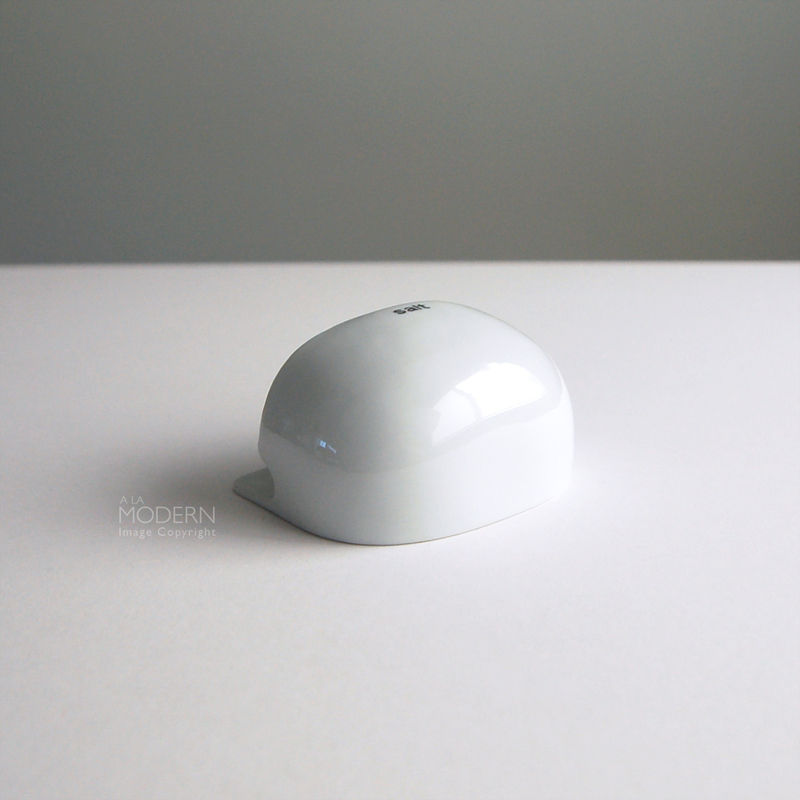 Have seen various pieces from this line - wonderful simple forms that fit in with any modern decor. 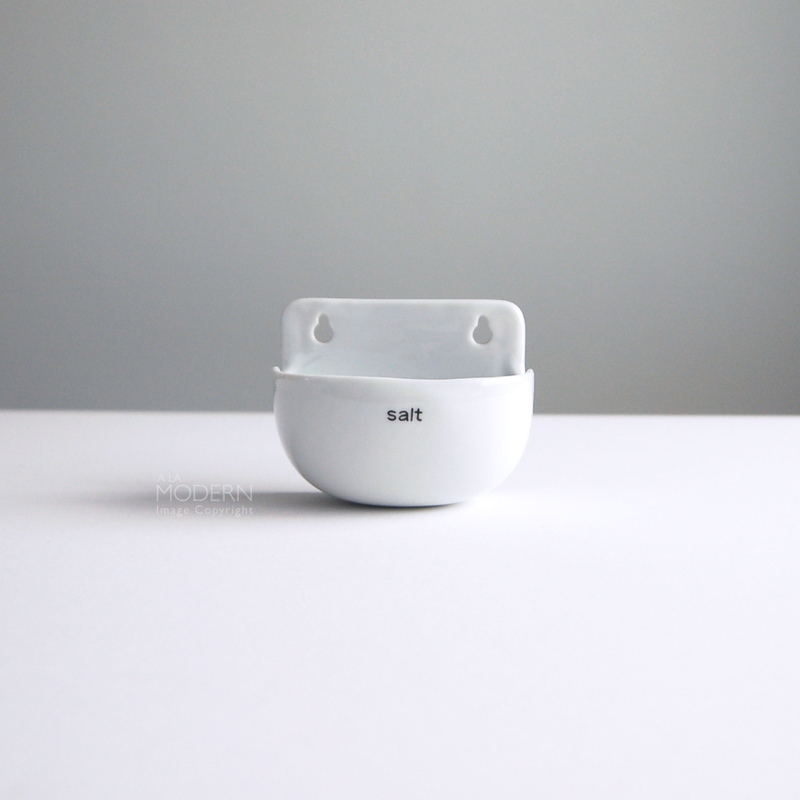 Plain black lettering on white ceramic, reading "salt". No marks on the back of the hanging tab. In good vintage condition, with no cracks or chips. A few light pops to glaze. Lettering is excellent condition. 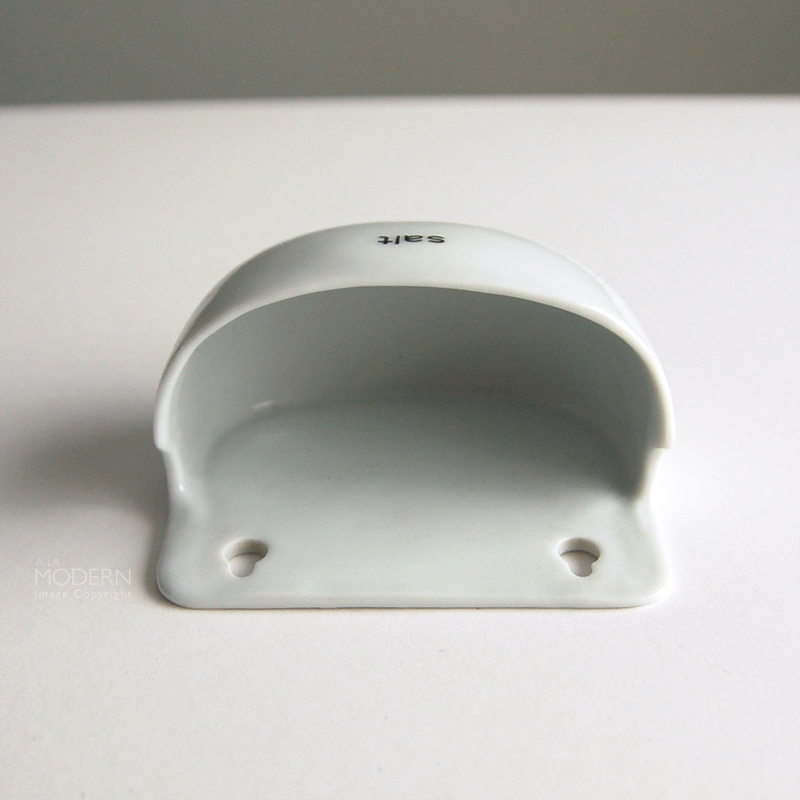 Backside of piece is unglazed. Measures about 4 inches wide, 3 1/4 inches deep, 2 3/8 inches deep.